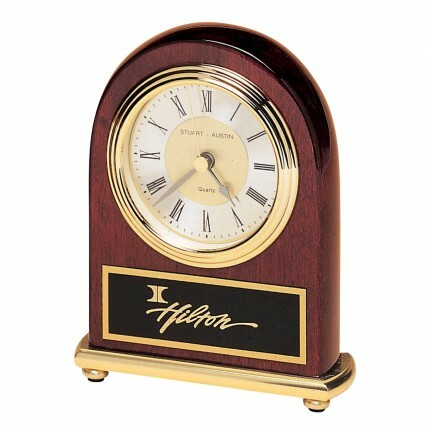 These Arched Rosewood Desk Clocks will look great on a table or desk, at home or in an office! Crafted from rosewood with a beautiful smooth piano-finish, our Stuart Austin clocks have a sturdy brass base. These rosewood clocks feature a diamond-spun dial and three hand movement. Individually boxed. Includes battery.